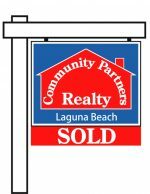 Well it’s that time of year again Laguna Beach Community! Summer is here! My name is Haven Schulz, personal trainer and owner of Health Haven Studio. I know many of my clients have been working very hard in these last few months leading up to Summer, but that work doesn’t stop here. Actually, summer is a great time to focus on your fitness and nutrition. Here are my 10 Summer Fitness Tips to hopefully help you stay on track or get on track! The gorgeous weather gives you no excuses to not get outside and move. By walk it off, I am not only referring to weight, but stress as well. If you are cooped up in your office for the majority of your day, I encourage you to go outside during a break (even 10-15 minutes), relax your mind, and walk it off! Opt for water whenever possible. Keeping hydrated has been proven to help with weight loss, decrease bloating, improve digestion, and so much more. When it comes to all the other types of drinks, I highly recommended you plan ahead. I know it sounds so elementary, but please drink responsibly for your health, safety, and goals! Leave the candy, cookies, and cakes for the winter holiday season. Enjoy the natural sweetness that comes from the earth. I am talking about FRUIT! I encourage my clients to include apples and berries in their diet on a regular basis. One yummy snack that I love in hot summer days are frozen grapes (also a healthy snack for your kids). There are so many ways here, in Laguna Beach, to get your exercise in while having fun. Take an early morning walk on the beach, grab a board and get in the water, or simply chase your toddler around for hours. You can also incorporate the hike up the Thousand Step Beach stairs at the end of your day! Hit the trails surrounding our beautiful city and you will be rewarded with some gorgeous views! Crystal Cove State Park and Top of the World are some of my clients and my favorites! What?!?! Yes, I am serious! There are many healthy options to choose from here in Laguna Beach! Don’t stress about going out to eat with your friends and/or family. Choose your meal wisely and enjoy the company. I always opt for whole, real foods such as meats, veggies, legumes, etc. You can opt for dressing/sauce on the side and skip the fried foods. Summer can give you a crazy schedule. When it comes to your exercise, make sure you plan and commit to at least three days a week of workouts. Sometimes this requires you to join a class, hire a trainer, or schedule time with a friend. Crackers and chips are easy options to bring to the beach, but make sure you and your family and getting the nutrients that need. I like filling an ice chest with large carrots, cucumbers, celery, etc. to snack on all day. Every Saturday morning, we have an amazing Farmers Market here in Laguna. Make it a tradition to go at the end of each week and grab some amazing local options to have for the upcoming week. There are a variety of fruits, veggies, nuts, eggs, meats, spices, sauces, etc. that will keep you on track and feeling good. Plus you are getting out and supporting your Laguna Beach Community! These are some of my secrets to success during the summer: If you looooove ice cream, swap your regular brand for Halo Top or Arctic Zero. Arctic Zero even has ice cream bars that are under 100 calories. Another delicious option is to make shaved iced sodas by using the soda brand Zevia. I love their refreshing root beer flavor! Well, those are your Laguna Beach Ten Summer Fitness Tips brought to you by Health Haven Studio! I hope you have a healthy and fit summer 2018 here in Laguna Beach! For any further questions about personal training, nutrition guidance, or more tips about creating a healthy lifestyle you can contact me, Haven Schulz!